Instructor is Gary Sargent. 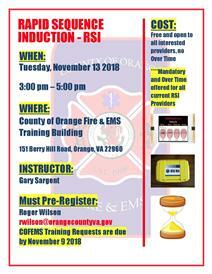 Must Pre-Register with Captain Roger Wilson at rwilson@orangecountyva.gov. COFEMS training requests are due by November 9 2018.